While making it my mission this past summer to visit as many Dutch castles as possible I knew that Castle de Haar was probably going to be pretty spectacular. I’ve seen lots of gorgeous photos and read about it, but I was kind of hoping to be able to say “no, this other castle that nobody knows about is the best one”. But going to De Haar made me eat my words because it is, actually, the prettiest castle in the Netherlands – hands down! Not only is the castle itself stunning, but the surrounding gardens and park are also equally beautiful. 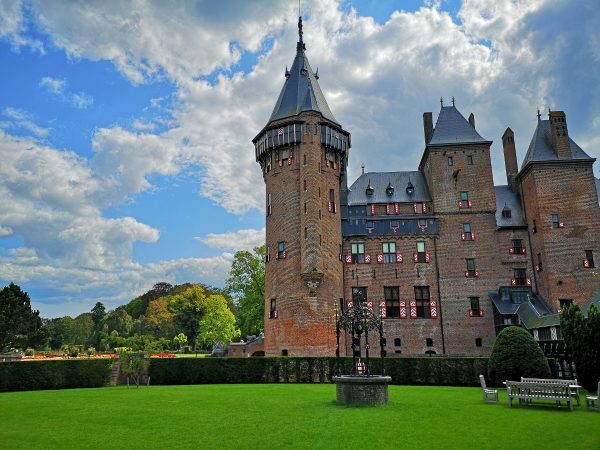 If you only see one castle while visiting the Netherlands, it should definitely be this one. Keep reading to find out more! 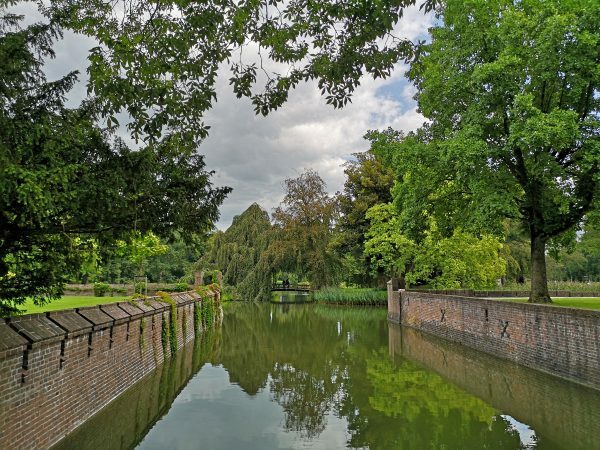 Castle de Haar (Kasteel de Haar in Dutch) is located about 12km outside the city of Utrecht, next to the village of Haarzuilens. 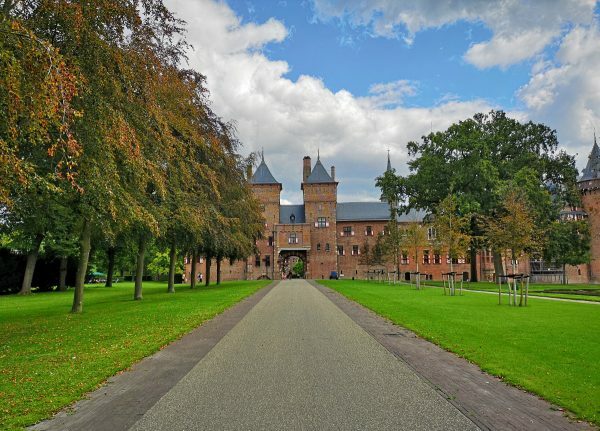 There are records of a building on the site from the 13th century and its ownership passed among different Dutch families until it was inherited by Baron Etienne Gustave Frédéric van Zuylen van Nijevelt – what a mouthful! This man married Hélène de Rothschild and together they used her fortune to restore the castle. 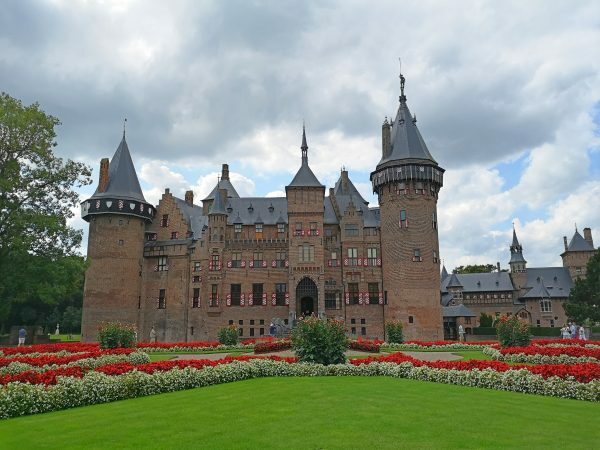 They hired Dutch architect Pierre Cuypers (the same man who designed the beautiful buildings of the Rijksmuseum and Centraal Staton in Amsterdam) to restore the castle in his neo-Gothic style. As well as wanting it to look like a proper castle, the Baron and Baroness also wanted all the modern comforts, so when the castle restoration was completed it had hot and cold running water, central heating, electricity, a Turkish bath (and a salon), a hypermodern kitchen and an elevator! At the time of its completion, Castle de Haar was more luxurious than even the residences of the Dutch royal family. 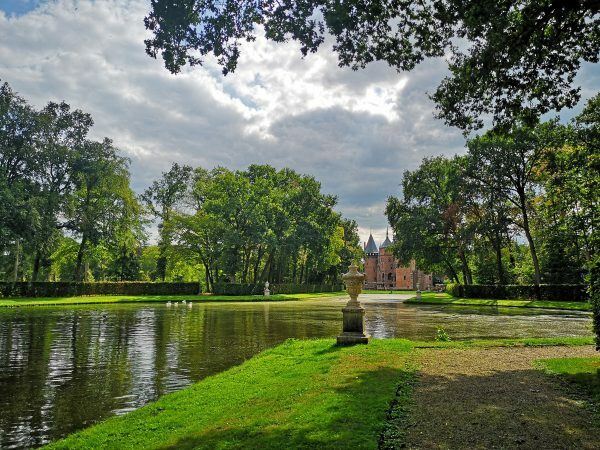 In 2000 the van Zuylen van Nijevelt family passed ownership of the castle and gardens to the foundation Kasteel de Haar. The castle and gardens were extensively restored again and now the castle is a very popular museum attraction. 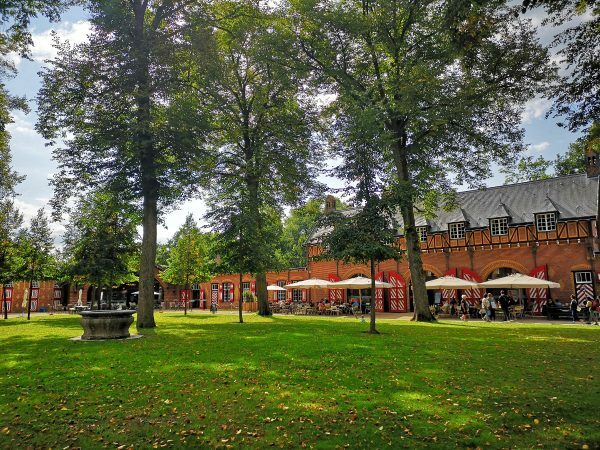 As well as being open to the public, Castle de Haar often holds events on the grounds such as the Elfia Fantasy Fair and Christmas markets (you can read more about events later). The van Zuylen van Nijevelt family still retain the right to spend one month a year in the castle. Talk about goals! Just wandering around the castle interior and gardens made me want to move in. While the castle itself is stunning and luxurious, the surrounding grounds are also worth exploring. There are French-style geometric gardens laid out around the castle, and the wider park is designed to be like an English landscape park. There’s a grand canal north of the castle which leads to a pretty view of the castle, as well as many walking paths through the park and over bridges. We saw families having picnics and even people walking their dogs. 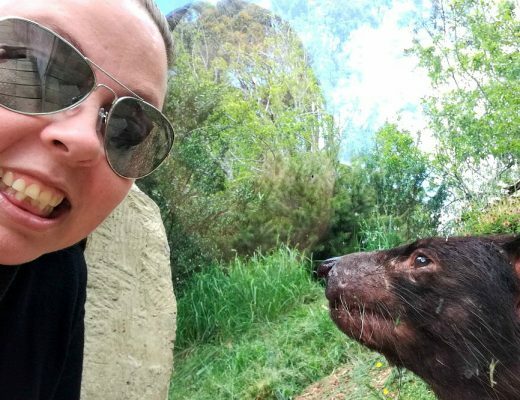 You can visit the park and gardens for a cheaper fee if you don’t want to also see the interior of the castle (or if you have dogs since they aren’t allowed inside). 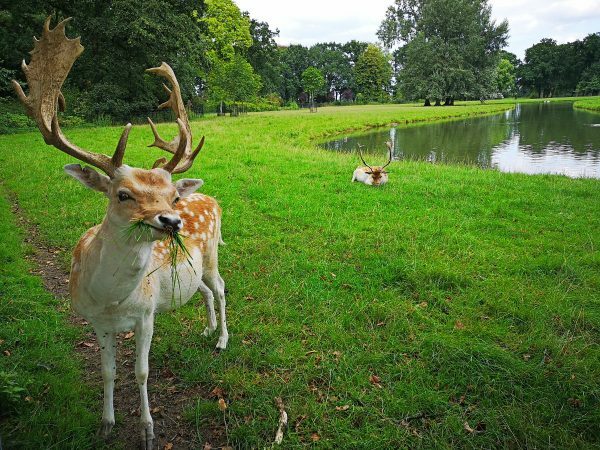 My favourite part was the deer park, where a very chill deer was allowing pats in exchange for grass! There’s also a maze within the grounds, and while we were visiting there was a small ice-cream cart, perfect on a hot summer day. Next to the castle is a private church, and you enter the castle grounds through what used to be the stables and is now the visitor centre/gift shop/ticket office and also houses a café. 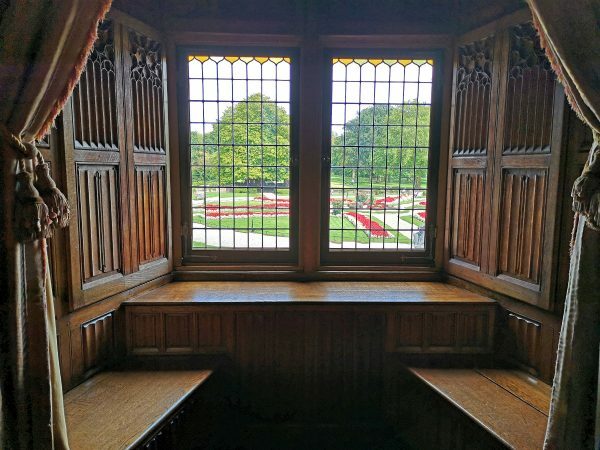 I particularly enjoyed the formal stylized gardens directly beside the castle, and which the main bedrooms inside look out over. The rose garden is particularly pretty, with more than 1,200 roses of 79 different species. Below: The café in what used to be the stables. A statue in front of the church. The castle from the rose garden. View of the castle from the grand canal. More pretty views of the castle! It costs €5 for entrance into just the castle grounds (for adults). 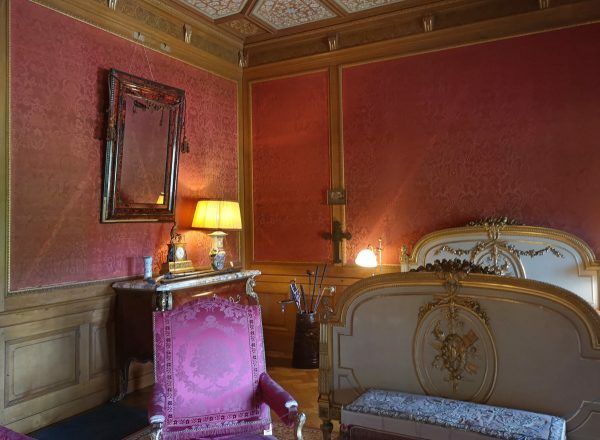 If you want to visit the interior of the castle as well then it’s €16. Make sure you check out the official website for opening dates and times and to buy your tickets online (if you want). As it was my first time visiting De Haar you can bet I was getting a ticket to see the interior as well! 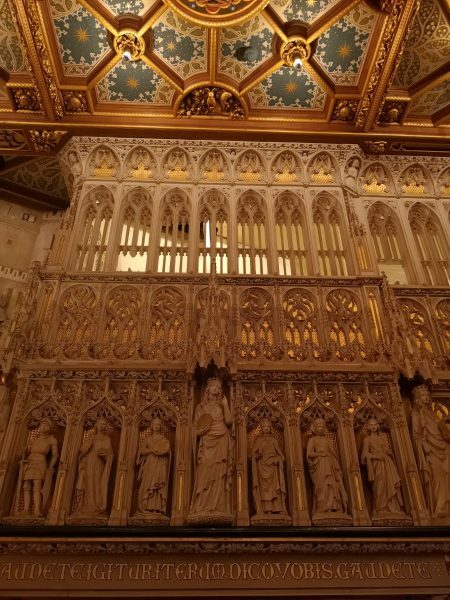 Not all rooms are open to the public, but a lot of them are and many have displays to show what the castle would have been to like to visit in its glory days. 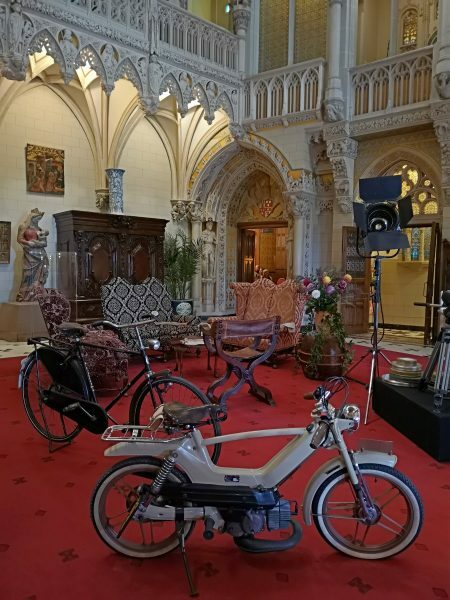 Not only did the Baron and Baroness often host film stars at the castle (Brigitte Bardot, Roger Moore, Michael Caine, Joan Collins and Gregory Peck all visited at one time or another) but the castle has also been used as a set for various film and television projects. During our visit we saw a few different things that were part of an exhibit about the castle’s history as a residence and it’s connections to film. 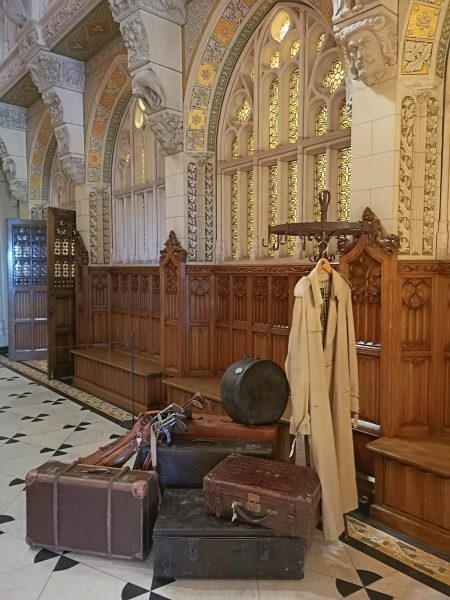 I also thought one corner of the entrance hall (below) looked a bit like Hogwarts with the travelling cases stacked about! 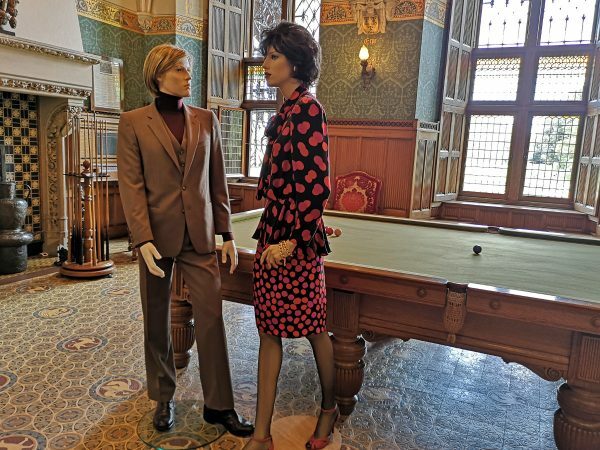 Some of the rooms had mannequins in them like the billiards room below and the main picture of this section. There are lots of information cards throughout the rooms (in different languages) so that you can read about the castle’s history, the uses of the rooms and anecdotes about notable visitors as you explore. 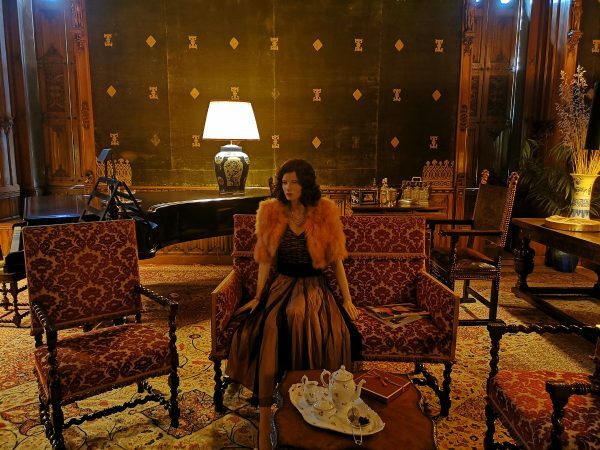 As well as the actors mentioned above Coco Chanel, Yves Saint Laurent and the Dutch Queen Emma also visited the castle! I was blown away by how opulent and beautiful the ballroom was! 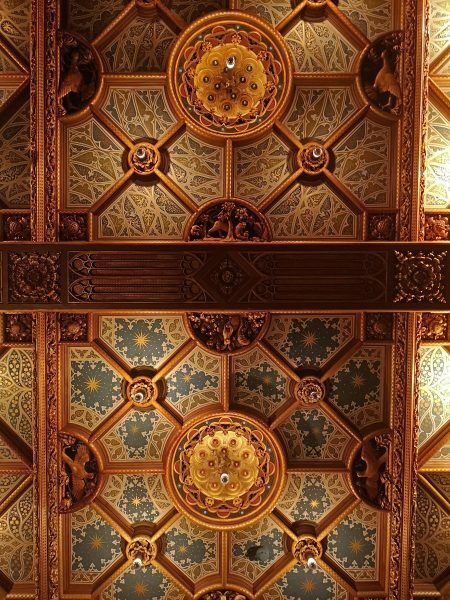 Below you can see a photo of the minstrel’s gallery and the amazing detail on the ceiling. On display in the ballroom now are also some of the objects that the Baron and Baroness collected during their travels, including a Japanese carrier coach of the woman of a shōgun. Apparently there are only two left in the world, and the one at De Haar is the only one outside of Japan! 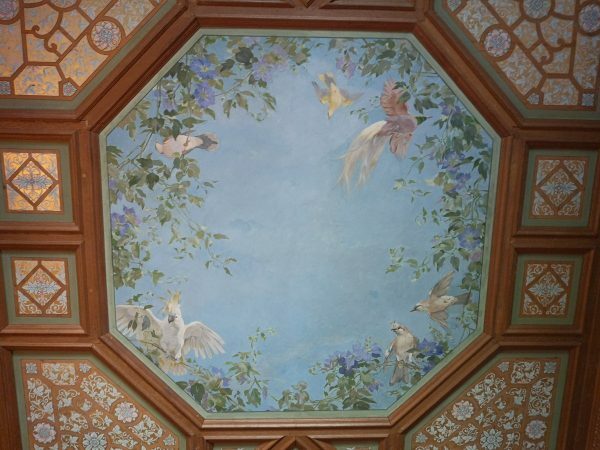 I also enjoyed the details to be found in the Baron’s bedroom, including paintings of birds on the ceiling which even had a sulphur-crested cockatoo! 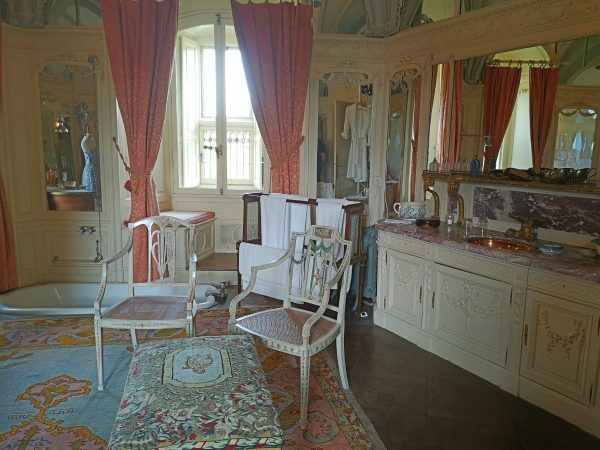 But it was the Baroness’s bedroom and bathroom that most made me want to move in myself! 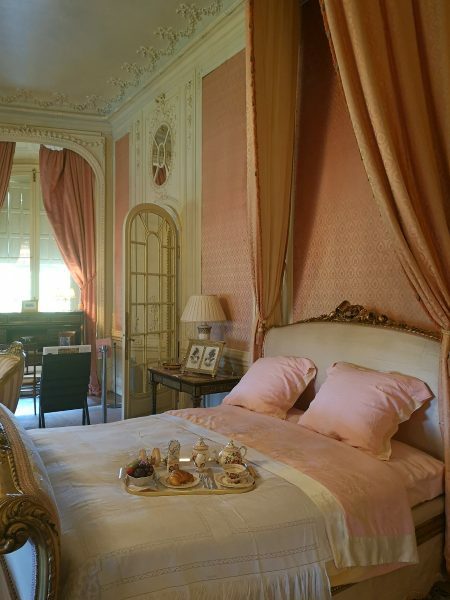 Check out that gorgeous bed and all the stunning pink, cream and gold details! Not to mention her amazing bathroom/powder room complete with a bathtub sunk into the floor! Most of the castle had me exclaiming every few minutes but this part was definitely my favourite. 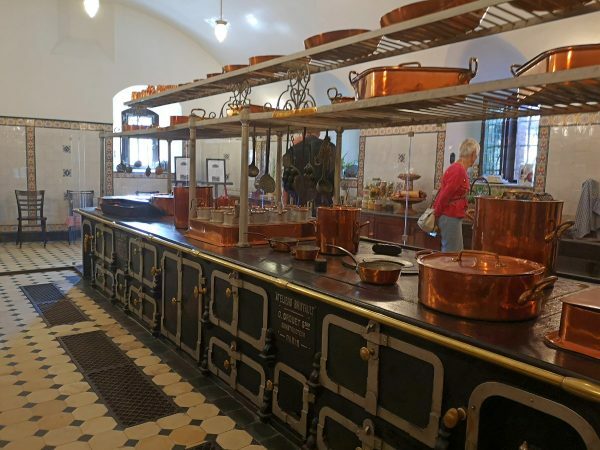 I also liked seeing the huge kitchen (and smaller scullery, dairy kitchen etc.) 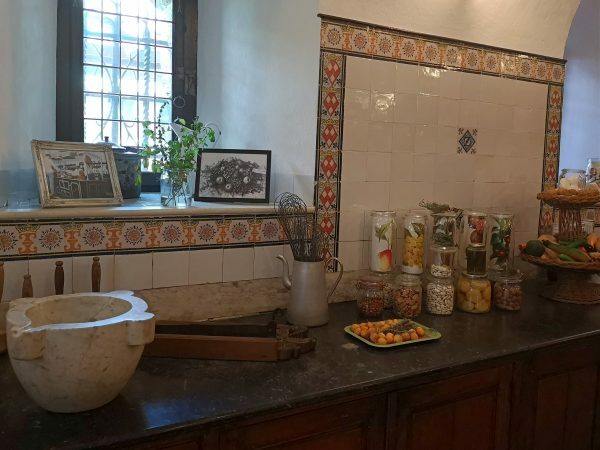 that was used to create lavish meals for the residents and guests staying at the castle. All the copper pans are emblazoned with the family and village name as well. 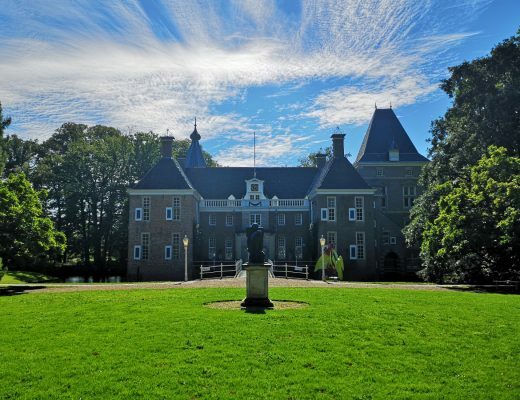 The Castle de Haar website is full of interesting information about the history of the castle, the rebuilding, the family and all the guests. Definitely make sure you explore that a bit if you are interested in finding out more about the family and the buildings. Castle de Haar is relatively easy to get to by car or public transport. By car it’s about 39 minutes from Amsterdam and there is parking directly next to the castle that costs €5 (this is on top of your entrance fee). Alternatively, it takes about an hour and a half to get to De Haar from Amsterdam via public transport. 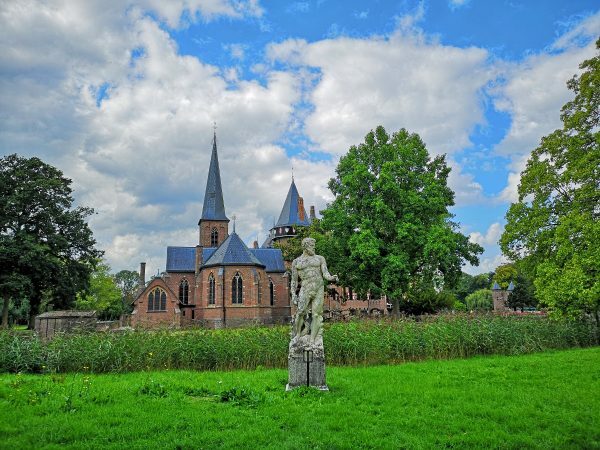 There are fast trains to Utrecht often and you can get bus 9 to Kasteel de Haar from Utrecht Centraal station on weekends and during the summer holidays. 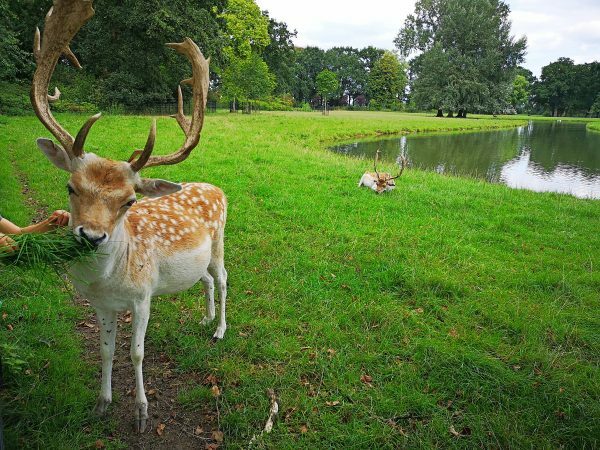 If you are visiting on a weekday (not during the summer holidays) then you will need to get another train from Utrecht to the town of Vleuten and then catch a bus to the castle. 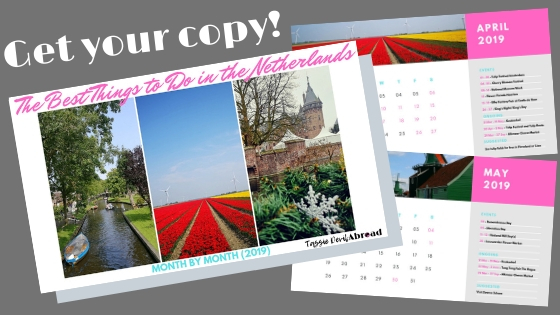 Check the website for more detailed directions and don’t forget to use the website 9292.nl when trying to plan your travels in the Netherlands! 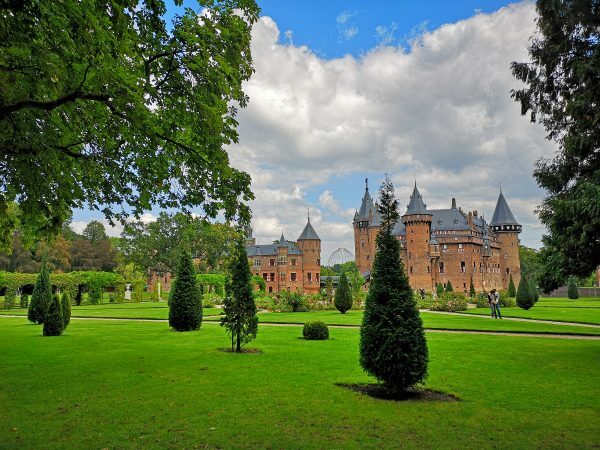 As well as just visiting for a little look-see, or to have a picnic, you can also attend regular events at Castle de Haar. If you have the money you can even hold a wedding there! One of the most famous events is Elfia (which used to be known as Elf Fantasy Fair); a huge costume and fantasy festival. 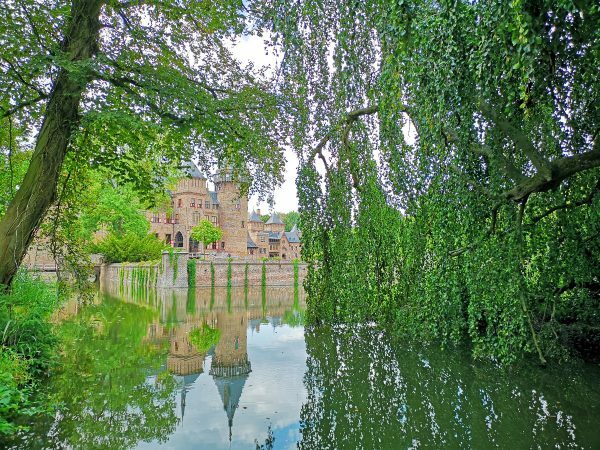 Elfia is held twice per year, in spring at Castle de Haar and in autumn at Castle Arcen (which is in the south of the country). During Elfia people from all over the Netherlands and the world come together to show amazing costumes, listen to music, wander among stalls and take part in activities or even listen to lectures. Elfia crosses many genres, with fantasy, sceience fiction, LARP, gothic, manga, cosplay and historical reenactment elements. Previous guests of honour have included Terry Pratchett, Robert Jordan, Brian Froud, Stanislav Ianevski (the actor who played Viktor Krum in the Harry Potter movies!) and Christopher Paolini. I haven’t attended Elfia yet, although Dennis has a couple of times in the past. I’m hoping to go to next year’s spring event! 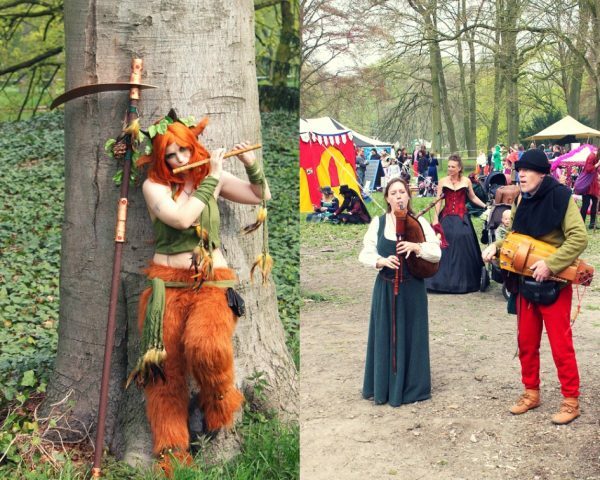 Check out the website for more about Elfia. 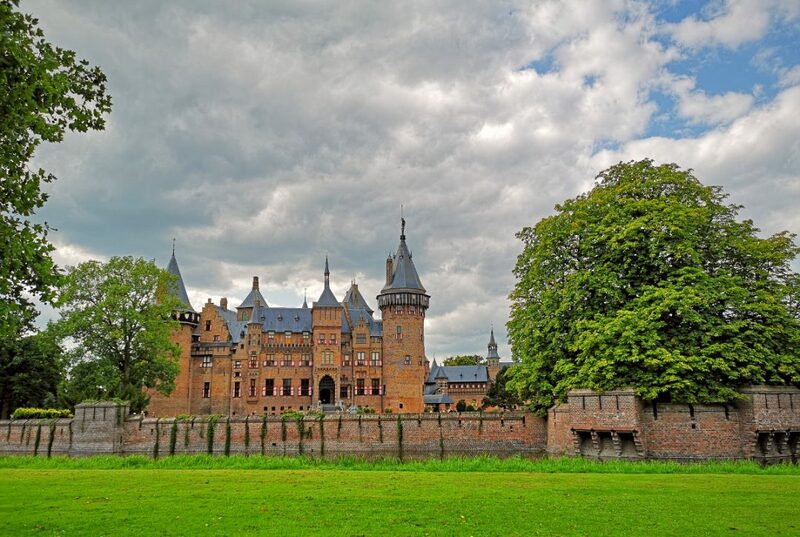 As well as Elfia, Castle de Haar hosts a Country and Christmas Fair every year during the last week of November. 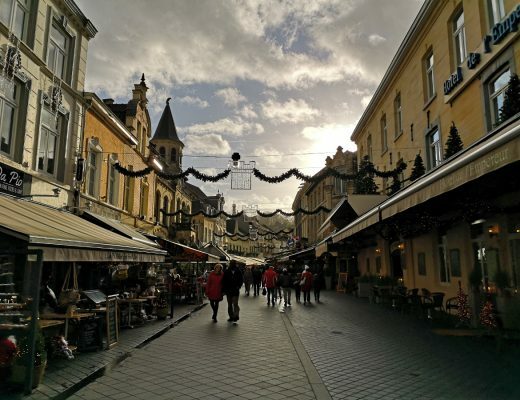 Apparently, this is the largest Christmas market in the Benelux region and I recently attended it for the first time. It had so many Christmas market stalls, plus cosy places to have yummy food and drink, AND a pretty amazing sound, light, water and fire show! I made a whole separate post to share all the photos of the castle grounds decorated with Christmas trees, lights and decorations, plus you can watch a short video of the light show. 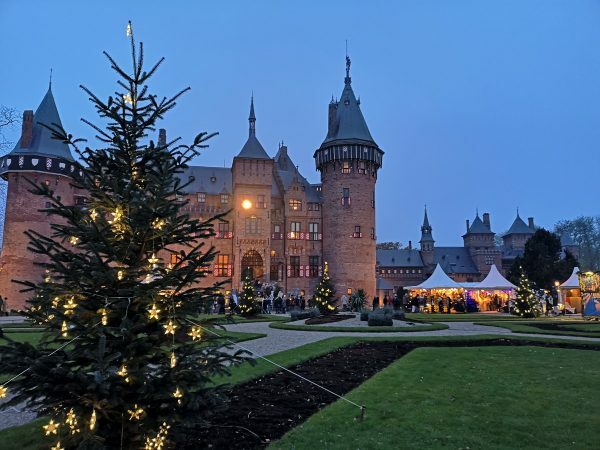 Have a look at my post on Christmas at Castle de Haar here. As well as these two main events there are also seasonal activities organised at the castle throughout the year. Again, have a look at the website on the agenda page to find out what is coming up. And that is all I have to say about Castle de Haar for now! 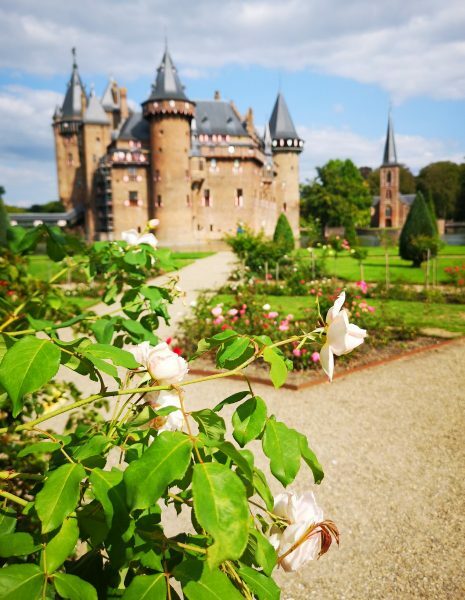 Have you been to Castle de Haar or any other castles in the Netherlands? Would you like to visit? 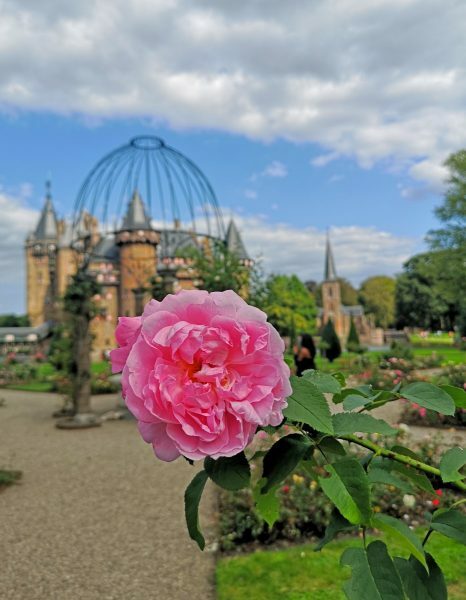 If you are interested in more of the most beautiful castles in the Netherlands (and other parts of Europe) make sure you check out my Castle Capers section and don’t forget to pin one of these if you’re planning to visit De Haar for yourself! I just love visiting castles, and this one looks like it doesn’t disappoint. 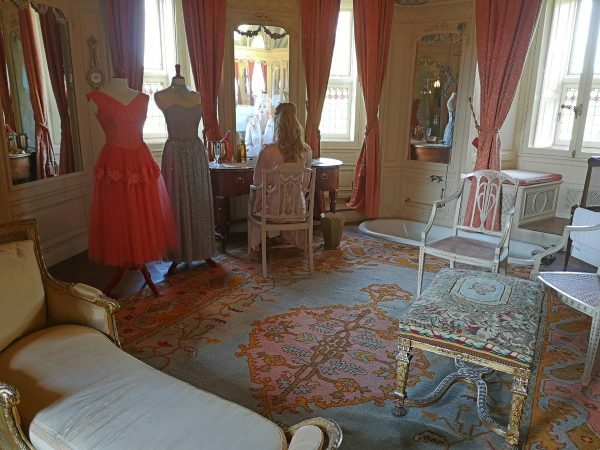 I totally agree with you, the Baroness’ bedroom looks incredible. 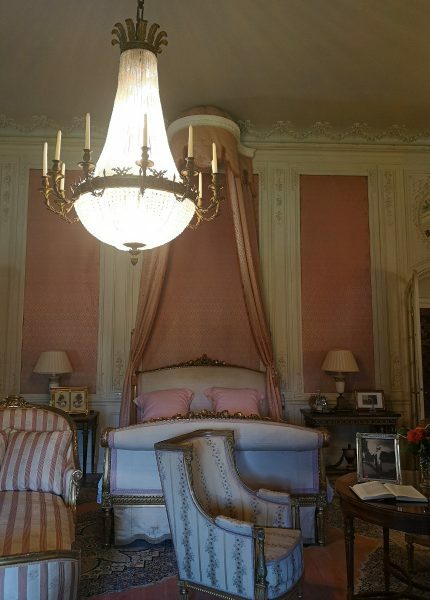 I love the feminine colors and the softness of the decor. FABULOUS! Thanks for adding another must-see castle to my list!